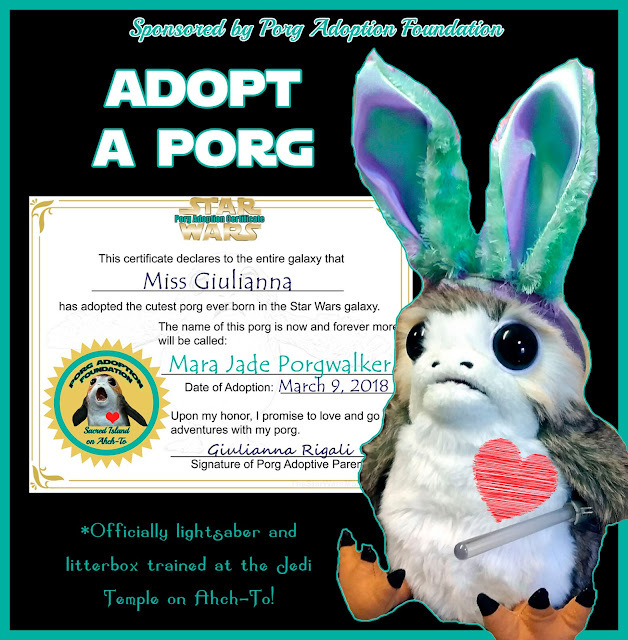 I thought I would leave most of the porg decor without words to be used with any type of party. I tried to choose a color theme which works for most parties and either gender. 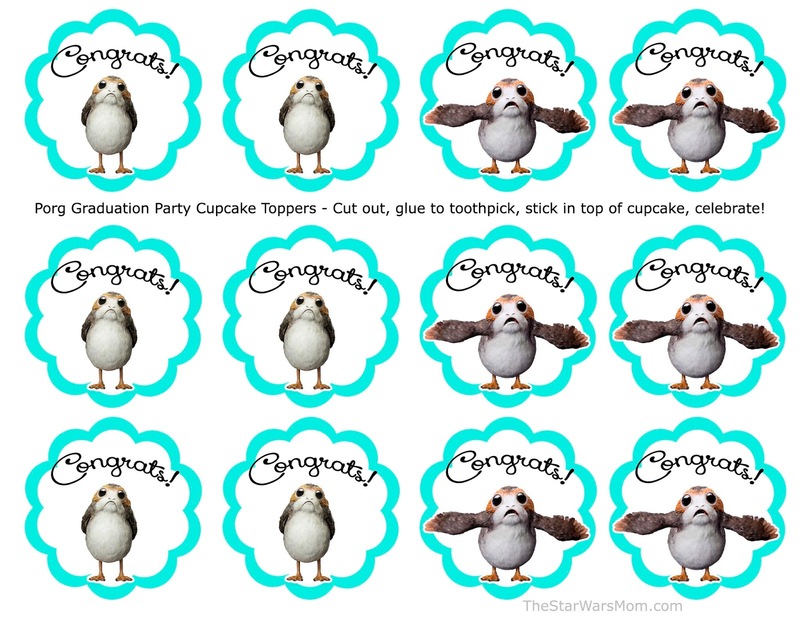 However, these cupcake or cake pop toppers needed to be more specific to add the element to the party! 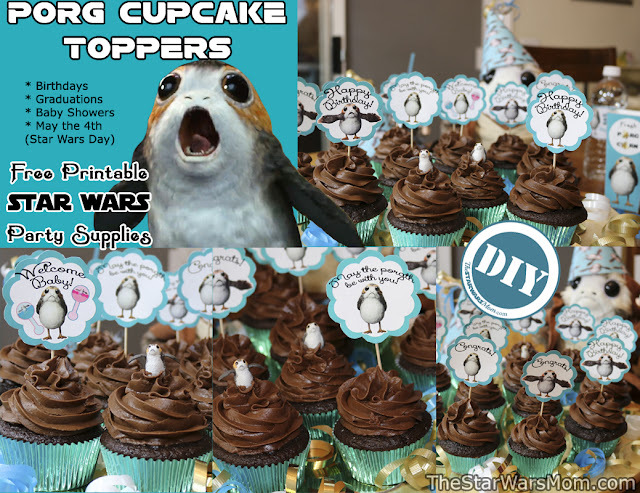 On my site, you can find porg cupcakes, but if you prefer regular cupcakes or cake pops with toppers on them, now I have it for your enjoyment. May the Porgth Be With You Cupcakes for Star Wars Day! 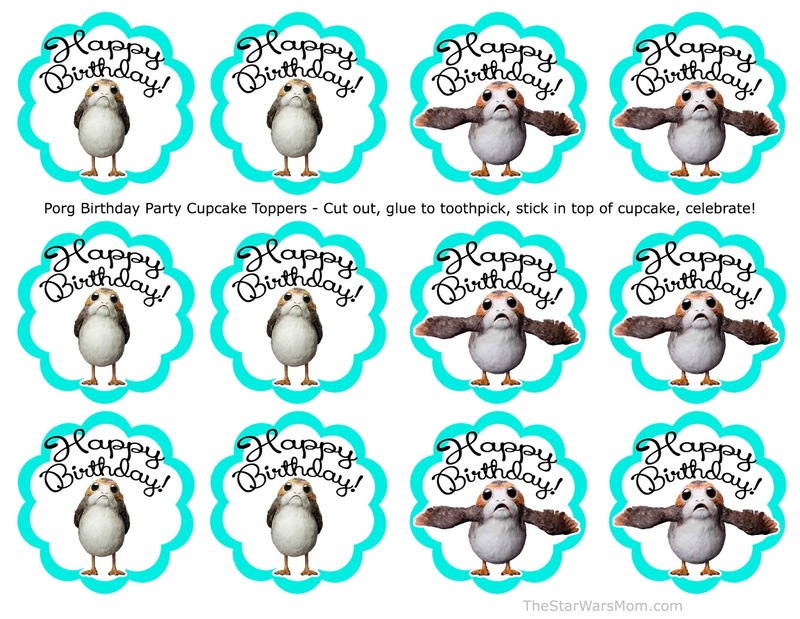 I made up four different Star Wars Porg Party Cupcake Toppers. I am open to more party theme ideas. No promises I will make them, but you are welcome to send me a note and let me know your wish list. 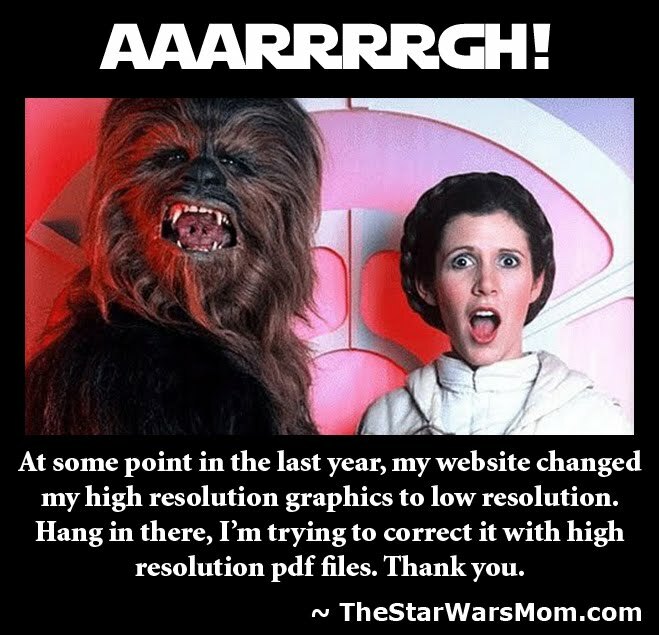 Many of my printables on here were once on Star Wars Fan wish lists and when I had free time, I worked on their idea. As always, they must be family friendly (in my opinion). 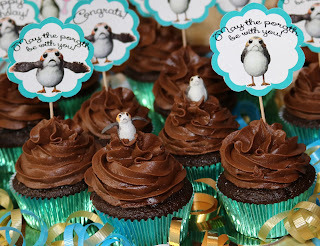 Bake and frost cupcakes/cake pops or buy them pre-made. I try to find ways to make this quicker and easier for busy parents. 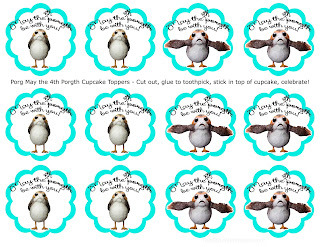 Print the page of porg cupcake toppers with the saying of your choice. Glue to a cake pop stick or toothpick. Push the bottom of the toothpick into your cupcake or cake pop and you're ready to roll! 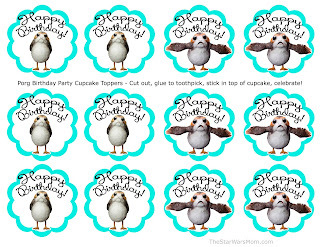 These cupcake topper designs can be used simply as decor. 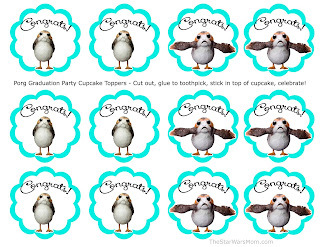 You can print them onto sticker paper and put them on plates, cups, or treat bags too.